The question leading up to former two-time Middleweight world champion Daniel Geale’s challenge of the undefeated unified WBA/IBO Middleweight world champion Gennady Golovkin was could Geale find a way to derail the path of destruction that Golovkin has carved out for himself in the Middleweight division. Prior to this fight, this observer stated that Geale did have the type of style and skill that posed an interesting challenge for a man in Golovkin who has not faced much resistance since becoming champion in 2010. Despite Geale’s Boxing skills and ability to be a volume puncher, the former world champion would be unable to nullify the seek and destroy pressure style of the champion when the two fighters met on July 26th at Madison Square Garden. The key to this fight centered on whether or not Geale could establish himself as an elusive target, be able to use his lateral movement, and hand speed to avoid Golovkin’s pressure. As previous Golovkin opponents have found out however, it is a task that is easier said than done. The challenger was clearly not hesitant to engage with Golovkin early on as Geale attempted to use his lateral movement and combination punching to prevent Golovkin from getting into a rhythm. To his credit, Geale was not intimidated by the champion and did attempt to use his elusiveness. Golovkin however, was able to adjust to Geale's movement and made it difficult for Geale to stay at distance where Golovkin would be less effective. Although Geale was not intimidated by Golovkin, the clear difference in this fight in addition to Golovkin having the advantage in terms of punching power was the champion’s ability to not only cut the ring off from his opponent, not only apply consistent pressure to push his opponent back, but also his ability to be solid defensively and catch Geale as he came forward with his offense. The champion would score a knockdown with a right hand early in the second round. This would not discourage Geale who after being knocked down responded by letting his hands go and trying to land something significant to offset Golovkin’s pressure. The fight would be brought to it’s conclusion in round three. In an exchange where both fighters threw right hands, Geale was able to land his right hand solidly on the champion. Despite being hit flush, Golovkin’s right hand still had the power that would not only land flush, but would send Geale to the canvas for the second time. Geale gamely arose from the knockdown, but unable to regain his balance could not continue. This was seventeenth consecutive knockout for Gennady Golovkin in his eleventh defense of his world title. Although there were periods during this fight where Golovkin appeared as though he was a little frustrated due to Geale’s movement and being able to occasionally make the champion miss, it was a fight that Boxing fans have become accustomed to seeing. The tactical almost systematic approach of Gennady Golovkin gradually breaking down his opponent. Despite suffering the first knockout loss of his career, Daniel Geale gave it everything he had in this fight and has nothing to be ashamed of. This will likely not drop Geale out of being in the discussion of the world’s top Middleweights. Geale is still a highly skilled boxer who was very “Game” in his challenge of Gennady Golovkin. Geale was simply unable to nullify Golovkin’s pressure and punching power, which simply was the story of this fight. As for what is next for Gennady Golovkin, there are some interesting possibilities that may be open for him coming out of this fight. In terms of potential mandatory challengers for Golovkin’s unified world championship, there are two upcoming fights on August 9th that are both for interim/regular champion status in the World Boxing Association’s (WBA) ratings. Current WBA number two rated contender Jarrod Fletcher will face the WBA number four rated contender Daniel Jacobs in Brooklyn, New York, while current WBA number one rated contender Dmitry Chudinov will face the number twelve rated WBA contender Mehdi Bouadla who is one of only three men to go the distance with Gennady Golovkin in Crimea, Russia. Whether or not these two fights will lead to the winners facing off to determine a mandatory challenger for Gennady Golovkin remains to be seen. In terms of the immediate future, I believe that it may be more likely that we will see Golovkin face a fighter who is considered a star of the sport. Prior to Golovkin’s fight with Daniel Geale I stated that if Golovkin were successful in retaining his title that it would certainly set up what would be one of the most intriguing fights in recent memory. A fight between the so far indestructible force of Gennady Golovkin against Boxing superstar Miguel Cotto. There is no doubt in my mind that if a fight between Golovkin and Cotto were made that it would not only be a significant draw no matter where the fight would take place, but would also be a popular pay-per-view attraction. After seventeen consecutive knockouts and eleven successful defenses of his Middleweight world championship, I believe that the time has come for Gennady Golovkin to face fighters who are considered top stars. Whether or not Golovkin’s knockout streak will continue remains to be seen. The more compelling question is can fighters who are considered marquee stars of the sport find a way to derail the ongoing path of destruction of Gennady Golovkin? Can Geale Derail Golovkin’s Path Of Destruction? Following Miguel Cotto’s dethroning of Sergio Martinez last month in what was a dominating performance, Boxing fans will again focus on New York’s Madison Square Garden on Saturday night for another world Middleweight championship fight. Undefeated unified WBA/IBO world champion Gennady Golovkin will defend his world title for the eleventh time against former two-time Middleweight world champion Daniel Geale. Some readers may recall following Golovkin’s last title defense over Osumanu Adama in February that I stated that it was only a matter of time before Golovkin will get marquee fights against top stars. Following Cotto’s win over Martinez it has somewhat changed the landscape of the Middleweight division in that Cotto was not only victorious over the WBC champion Martinez in what was his first fight at Middleweight, but in doing so also defeated the man many considered the number one fighter in the division. This has changed what appeared to be an obvious collision course between Martinez and Golovkin. It has however, set up a potential fight between Cotto and Golovkin that Boxing fans should eagerly anticipate. Before Golovkin can set his sights on Cotto in a fight to further unify the Middleweight division, he faces what could be his most difficult test to date in the form of Daniel Geale. The question heading into this fight is can Daniel Geale find a way to derail the path of destruction that Gennady Golovkin has carved out in the Middleweight division since becoming champion in 2010. After ten successful title defenses and sixteen consecutive knockouts, Golovkin certainly has to be viewed as the favorite heading into this fight. Being in the position of an underdog however, is not something new for Daniel Geale. Geale is a two-time world champion that many fans will remember for his performance against former longtime Middleweight world champion Felix Sturm. A fight where Geale outworked Sturm and won the decision in Sturm’s home country of Germany. Despite Golovkin’s devastating knockout streak and an overall career knockout percentage of nearly 90%, Geale does have the type of style and skill that poses an interesting challenge for Golovkin. Geale is a fighter who likes to use lateral movement and execute his offense in volume. In Golovkin’s last six fights he was able to either gradually break his opponents down or end fights quickly, as he showed in March of last year when the champion ended his fight with Nobuhiro Ishida with one punch in what this observer felt was the knockout of the year. 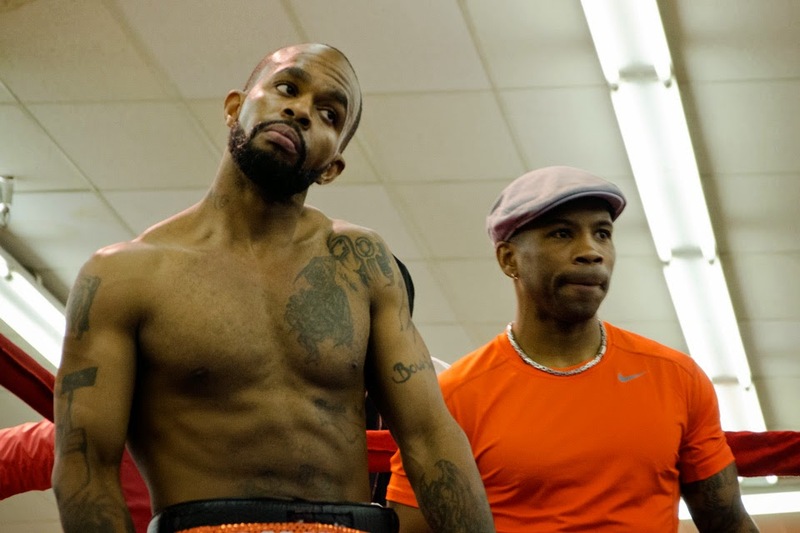 An argument could be and perhaps should be made that the only fighter who has been able to provide some resistance against Golovkin was top contender Curtis Stevens. Stevens put forth a “Game” effort in his challenge of the champion last November before being stopped at the end of the eighth round. The key to this fight in my mind is simple whether or not Daniel Geale can establish himself as an elusive target and be able to avoid the consistent seek and destroy pressure of the champion. If Geale is able to be elusive, use his lateral movement, and hand speed to avoid Golovkin’s pressure it could nullify the champion’s offense. This may put the champion in a scenario that he has not faced thus far by potentially being behind on the scorecards if Geale is able to take this fight into the late rounds. An important thing to remember as this fight approaches is that Gennady Golovkin has only gone as far as ten rounds only once in his career, in his stoppage of former Jr. Middleweight world champion Kassim Ouma in 2011. As I have said in my previous coverage of Gennady Golovkin, when a fighter has scored as many consecutive knockouts as Golovkin has, questions regarding that fighter’s stamina may indeed be warranted. Although Golovkin has gone the distance three times in his twenty-nine career wins, those fights were only scheduled for eight rounds. A question that will follow Golovkin with each fight will be whether or not fatigue will be a factor and more specifically whether or not his punching power will be affected if he is extended into the later rounds of a twelve round championship fight. This could be the fight that will answer that question. Golovkin will not only face a man who is a former world champion, who not only has good lateral movement and hand speed, but also a man who has never been stopped in thirty-two professional fights. Following Golovkin’s last fight, a seventh round stoppage of Osumanu Adama in February, I stated that no matter who emerged victorious out of the Martinez-Cotto showdown one might argue that it would present a win/win scenario for Golovkin. With Golovkin-Geale taking place in Madison Square Garden and given that Miguel Cotto has been a significant draw at The Garden for several years, if Golovkin is able to retain his world title in his bout with Geale it would certainly set up what would be one of the most intriguing fights in recent memory and a hot ticket attraction if the fight were to take place at The Garden. If however, Golovkin is looking past Geale to a potential fight with Cotto, the ingredients might be there for what some would consider an upset. This observer will again remind readers of what I said following Golovkin’s last title defense in that it will be interesting to see if someone can throw a monkey wrench into any plans that Golovkin could have for potential big money fights down the road. If there is a Middleweight out there who can truly test Gennady Golovkin, it still remains to be seen. We will see whether or not the former world champion Daniel Geale is the Middleweight who can provide that test for Golovkin on Saturday night. Press Release: July 22, 2014 By Sundown Entertainment- This Saturday, professional boxer Marcus Dawkins of Colorado Springs, Colorado will be fighting for the vacant IBU title. The 10 round bout will be held in Cotonou, Benin which is home to his opponent Victor Kpadenue. Kpadenue, a Benin fan favorite, has faced several accomplished boxers including former world title challengers Gary Locket and Olusegun Ajose. This will be Kpadenue’s first fight in over four years, when he scored a victory over Isaac Sowah. For more information about Sundown Entertainment please visit: www.sundownentertainmentllc.com. Material Courtesy of: Sundown Entertainment Used with permission. On July 12th the Boxing world focused it’s attention on the MGM Grand in Las Vegas, Nevada for the highly anticipated encounter between former Jr. Middleweight world champion Saul Alvarez and top contender Erislandy Lara. In the lead up to this fight I stated that stylistically this was a fight that you could see an argument for either fighter winning. The actual fight would validate that statement. Although it was my belief that this would be a contest where there would be a little of everything, a large portion of this fight was a tactical Boxing match where there were several close rounds. It was not surprising to this observer to see Lara begin this fight using his lateral movement in order to be an elusive target. It was this approach that I felt dictated the early rounds of this fight as Lara used angles to set up his offense, establishing his jab and mixing in crisp combinations. This seemed to keep Alvarez from letting his hands go consistently early on. In contrast to Lara, Alvarez was sporadic in throwing his jab throughout much of this fight. This could be attributed to both Lara’s lateral movement and quick hands. Establishing a consistent jab against an elusive target who is also a precision counter puncher is after all easier said than done. Alvarez however, was effective in targeting Lara’s body as the focal point of his offense when he was able to close the distance between himself and Lara. Although Lara was clearly more active in my eyes early on, Alvarez had the edge in terms of landing the more effective punches when he was able to land. As is often the case in fights where both fighters are able to have periods of effectiveness in the same rounds, it can present a conundrum for not only fans, but more importantly also the judges. This can and often does result in rounds that are deemed “Swing Rounds” that can go either way. Even though Alvarez was consistent in terms of trying to walk Lara down and apply pressure on him, the question in my mind was whether Alvarez was doing enough to win rounds that were extremely close based on how effective he was when he was able to get in close and land solidly with his body attack. One could make a valid argument that this fight was a scenario where Lara was able to control the early part of the fight with his lateral movement and ability to get his punches off first and make Alvarez miss. As the fight progressed however, Alvarez was able to be more effective and close the gap in terms of the scoring of this fight. There was however, no question that this was shaping up to be a close fight. As the fight entered the middle rounds, I felt that Lara had a slight edge based on how effective he was early in the fight. The body attack established by Alvarez did seem to begin to pay off for him in the middle rounds as he was able to land not only to the body, but also begin to have success landing punches to the head of Lara including cutting Lara over the right eye with an uppercut in round seven. At this stage of the fight the momentum had clearly shifted toward Alvarez. Despite appearing to be affected by Alvarez’ body attack, Lara did not appear as though he was in any trouble as this fight progressed and kept trying to remain elusive and keep Alvarez at distance. At the end of the twelve round bout I felt that Alvarez did enough to win the fight based on his consistent pressure and body attack that proved evident in the second half of the fight. Based on this, I scored this fight unofficially 7-5 in rounds or 115-113 in points for Alvarez. There were however, several momentum shifts throughout this fight and it was certainly not surprising to see the official judges turn in varying scores resulting in a split decision. Judge Jerry Roth scored this fight 115-113 for Erislandy Lara, while Judge Dave Moretti scored this fight the same way that I saw it, 115-113 for Saul Alvarez. The deciding scorecard was rendered by Judge Levi Martinez who scored this fight 9-3 in rounds or 117-111 for Saul Alvarez. Although there might be some who feel that Judge Levi Martinez’ scorecard was inaccurate and although I did not see this fight by as wide a margin it is understandable how a score like that can be rendered in a fight like this. Even though I do not want to seem repetitive I will say again as I have said many times over the years that when it comes to close fights it will boil down to what a judge prefers based on clean punching, effective aggressiveness, ring generalship, and defense in their own individual criteria in how they score. There were times throughout this fight where Erislandy Lara landed the cleaner punches and dictated how the fight was fought based on his lateral movement, which made it difficult for Alvarez to get close and caused him to miss many punches. In contrast, Alvarez was more effective particularly in the second half of this fight where his body work made it possible for him to get on the inside and landed the harder punches in my estimation. This is a classic example of how “Swing Rounds” can result in differing scores and opinions. I thought that this fight was very close and could have gone either way. Although I had Alvarez winning by two rounds, I could easily see an argument for Lara winning this fight by the same margin or by a score of 8-4 in rounds or 116-112 in points. It was that kind of fight. Prior to this fight I stated that I believed that all the ingredients were there for might be a classic encounter. There may be some who disagree with me in this regard. The one thing that I believe everyone will agree on is that this fight represented two of the best fighters in the Jr. Middleweight division both putting themselves and their standing in the division on the line. It was a highly competitive encounter that will almost certainly be a topic of discussion and debate for Boxing fans for years to come. What will this fight do in the overall Jr. Middleweight picture? It is certainly debatable. Lara who currently holds interim/regular status in the World Boxing Association’s (WBA) ratings was not theoretically risking his standing in this fight as it was not for interim/regular champion status. It will be interesting to see if the WBA will drop Lara from that status due to the loss. Even though this was not a fight for interim/regular status, or to put it more simply to determine an official WBA mandatory challenger, it could certainly be possible that the WBA could order a rematch between Alvarez and Lara based on what happened in this fight. One should also consider that the current unified WBC/WBA Jr. Middleweight world champion Floyd Mayweather who is scheduled to defend his unified Welterweight world championship as recognized by both the World Boxing Council (WBC) and the WBA in a rematch against former WBA world champion Marcos Maidana in September. This would appear as though it would prevent Lara or Alvarez from challenging for the unified Jr. Middleweight world championship unless circumstances emerged where the titles would be stripped from Mayweather. Even though there may be some who feel that there should be rematch fight between Alvarez and Lara, I respectfully disagree. This was a highly competitive fight from beginning to end. An argument could be made that either Alvarez or Lara won this fight as well this fight could have ended in a draw. In my opinion, this fight is certainly worthy of a sequel. Alvarez-Lara: A Classic In The Making?